Can auto dealers benefit from content marketing? You bet they can: After all, before a customer invests in purchasing a new or pre-owned vehicle, that customer is almost sure to do some online research. Much of that research will relate to the automobile itself—whether or not it is a reliable, safe, fuel-efficient, and overall recommended vehicle—but customers also like to ensure that the dealer is trustworthy and respectable. 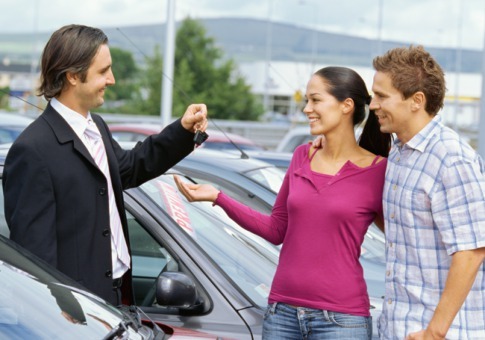 Rather than risk doing business with the stereotypical pushy used car salesman, customers want to find a dealer with integrity. Content marketing is an ideal tool for cultivating this reputation, this public perception. By offering blog entries and social media updates that inform—rather than just sell—you position yourself as a dealer who knows about cars and is passionate for helping each customer find the right vehicle for his or her needs. But how can the owners of auto dealerships successfully implement content marketing? A few specific ideas are listed in the paragraphs that follow. This is the ultimate way to show that your mission is to help consumers find vehicles that satisfy their needs—especially if your dealership does not even have a service department. Offer preventative maintenance tips, explaining to vehicle owners how they can keep their cars running for as long as possible. Also share some diagnostic and troubleshooting advice, and tell readers how and when they need to get their cars inspected and serviced. You’ll probably get a lot of folks coming in looking for family cars—so why not create a list of your Top 5 Family Cars for 2013? Or maybe make a list highlighting the Top 5 Most Fuel-Efficient SUVs on your lot? These articles are informative, but they also highlight your products in a meaningful way. Most car consumers probably don’t care about each and every thing that goes on in the industry, but there are certainly some exceptions. When new innovations in auto safety are developed, blog about them. If Chevrolet announces its most fuel-efficient truck ever, mention it on your Facebook. Show off your expertise, and get people curious in different kinds of vehicles. The bottom line for auto dealers is that offering helpful insights and relevant information proves that you know what you’re doing—and that you care about assisting your customers. Content marketing can build your dealership’s reputation from the ground up, so don’t take these creative content ideas for granted!